85490 and 85429 contain powerful active ingredient difenacoum (0.0025%). 79919 and 35449 contain powerful active ingredient bromadiolone (0.0025%). Wholegrain Bait is a ready to use bait formulated using food grade micronised (high temperature ) wheat. This prevents germination and begins the conversion of starches to sugars, increasing its attractiveness to rodents. Is highly palatable against all pest rodents, and is the ideal bait where the target population is already feeding on whole grain. Pasta Bait is a ready to use bait formulated using a blend of high quality culinary grade wheat flour, chopped grain, soft laird and synthetic peanut butter flavouring to produce a high calorie, high energy feed. 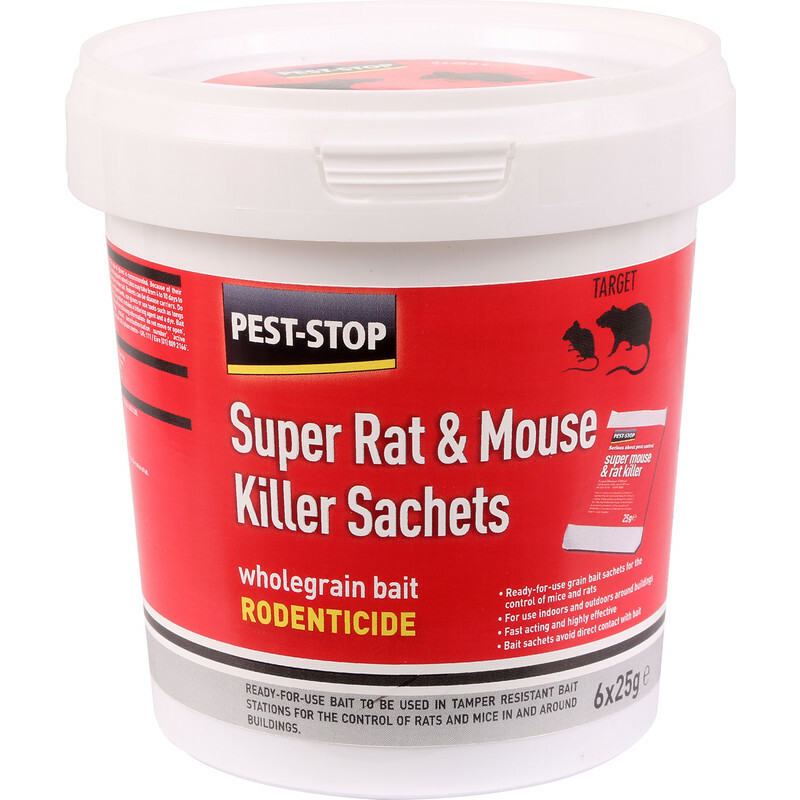 Is extremely palatable and effective against all pest rodents, it is the preferred formulation in cold situations, or where rodents have declined to accept other baits. 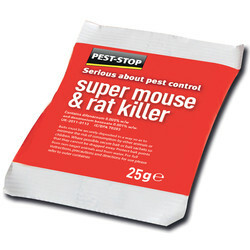 Pest-Stop Mouse & Rat Killer Sachets Wholegrain Bait 6 x 25g is rated 4.6 out of 5 by 25.